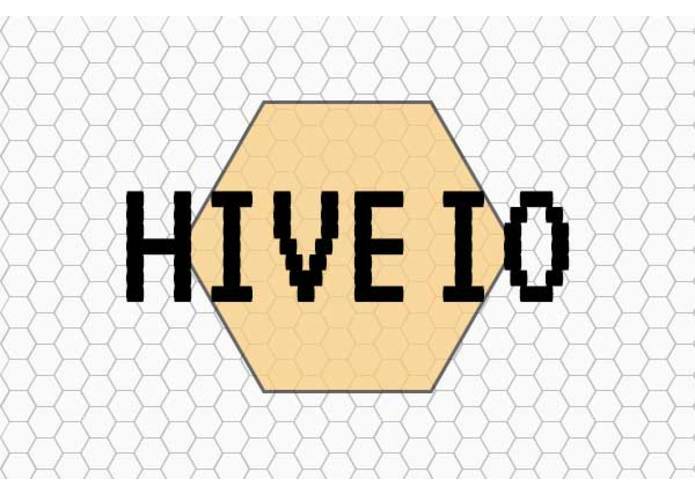 Hive IO is a multiplayer strategy game that is lightweight and can be picked up easily. 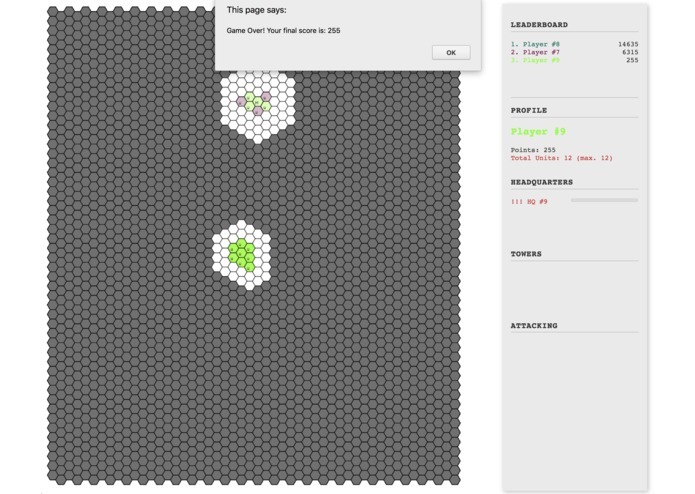 Player's objective is to conquer as many towers and headquarters as possible. Each of these building will provide points over time, and also allowed bigger army size. 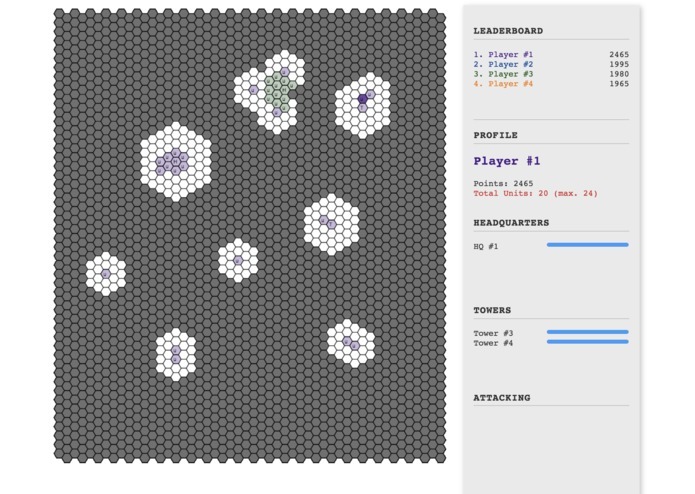 It has the features of fog of war and line of sight, which are key features for a strategy game. All in all, a web browser is all that you need to have fun! The most challenging parts of this project are the concurrency control and performance issue. There are many game logics that should be executed carefully to make sure consistency across all players. In addition, as we had very limited time, having good architecture and implementation to scale the program is not an easy task. 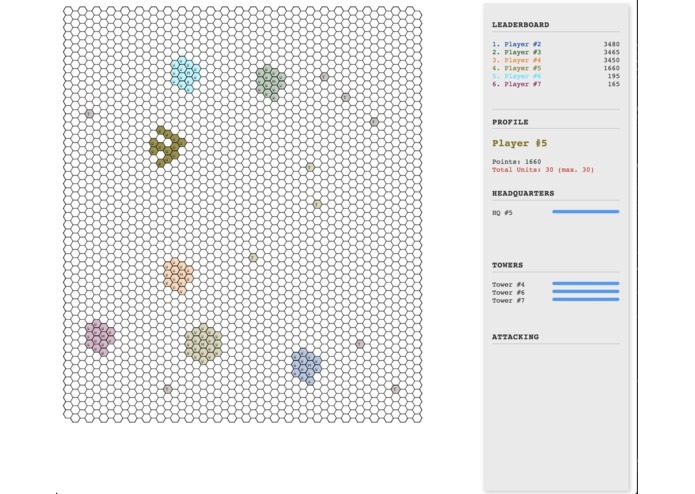 We managed to have a working version of this game that supports multiple players. The performance and concurrency are reasonable, but of course could be improved even further in the future. We learned many aspects of game logic development, concurrencies and how to code with performance in mind. Developing clean and intuitive user interface is also a good take-home lesson for us. The performance (both backend and frontend rendering) could be improved further to support higher FPS. Larger world map with minimap to ease the navigation are also in our list of improvements.